Following a change in its admissions policy, Raisbeck Aviation High School’s class of 2020 will be more diverse than any other in the history of the high-performing Highline District school. For most of its nearly 12-year history, Raisbeck Aviation High School, a public school in Tukwila that works to prepare students for careers in aviation and aerospace, has been largely male and white. Last year, just 35 percent of the school’s 429 students were female, and 38 percent were racial minorities. Come next fall, all that will change. While essays, interviews and character references had been used in past years to decide who would be a good fit for the school, this year’s nearly 400 applicants were entered into a lottery to determine who would get a seat. And the makeup of next fall’s freshman class? Fifty-six percent male and 44 percent female, and only about 28 percent white. Though some students and parents have raised concerns about the new system, one thing is certain: The 105 students in next year’s freshman class will better reflect the population the school serves. In the Highline School District as a whole, nearly half the students are female, and three-quarters are racial minorities. “The concerns signaled to us that we needed to find a solution, or that solution would be determined for us by an outside entity, ” Enfield said. Since its beginnings in 2004, Aviation has been a selective school. 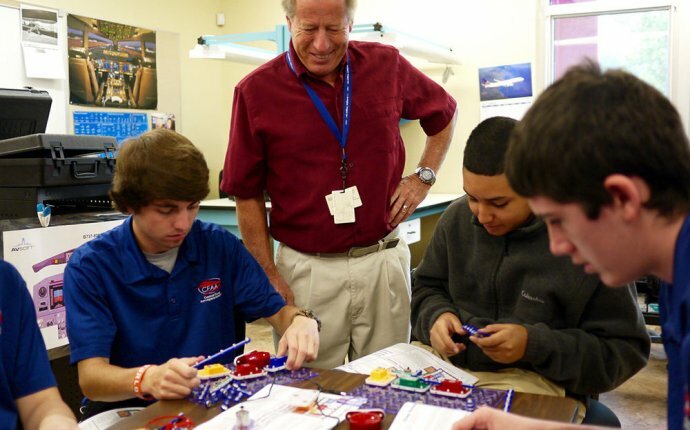 As one of the few aviation-themed schools in the country, it shares resources with The Museum of Flight and offers mentors and internships in aerospace companies. It’s consistently ranked as one of the top schools in the state. And in recent years, it has received about three applicants for every seat, with its students coming from all over the Puget Sound region. But under the old application process, the school has long had both a gender and ethnic imbalance. It also was never able to reach a goal of 51 percent of students coming from within the district.